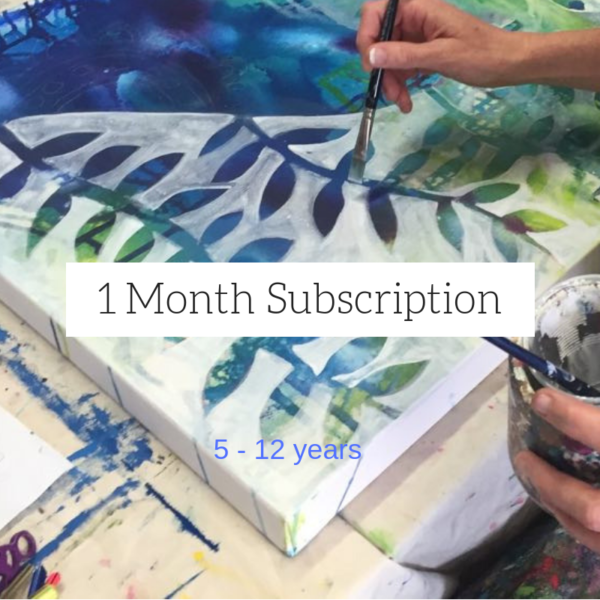 A super fun, jam packed art box with 5 different art lessons, materials, ideas and inspiration. Lots of creative fun. Delivered to you, on the 1st of the next corresponding month after purchase.